After the death of Luke OâToole, in 1929, the GAA found itself looking for a new Secretary for the first time in almost 30 years. In 1901 OâToole was elected on a simple show of hands; a testament as to how far the Association had progressed under him can be seen in the selection process used to find his successor. The Governing Body of the GAA, the Central Council, decided that applicants must be members of the Association for a minimum of five years, must be under 40 years of age, and would have to undergo a qualifying examination consisting of Irish (oral and written), English, arithmetic and book-keeping. The chosen candidate would act as both the Secretary of the GAA and the Manager of Croke Park; be paid a salary of Â£300 (rising in annual increments of Â£10 to a maximum of Â£400), and be provided with a free house and electric light. There were a total of 11 applications for the post, only 9 of these attended the August 1929 examinations. After the examinations two rounds of votes were taken; on the final vote Patrick OâKeefe (Padraig Ã Caoimh) defeated F. Burke by 11 votes to 10 to become the new Secretary of the GAA. Ã Caoimh was born in Roscommon but moved to Cork at a very young age and the main Cork GAA grounds in Cork, PÃ¡irc UÃ­ Chaoimh, is named in his honour.Educated by the Christian Brothers in Cork he trained as a Secondary School teacher at Saint Maryâs College in London, returning to teach at Presentation College, Cork. In 1916 he joined the Irish Volunteers; three years later he gave up school teaching to become an officer with the Cork Brigade of the IRA. His organisational talents were immediately visible to his superiors and in 1920 he was appointed manger of the Employment Bureau, established by the First DÃ¡il. This was to be a short lived appointment - he was captured by the British and sentenced to 15 years penal servitude. He was, however, released in 1922. In 1929 he resigned from his position as manager of a Munster tobacco company when he was appointed as the new Secretary of the GAA. Within three years of his appointment his renowned organisational skills were put to the test. In 1932 Croke Park hosted both the Tailteann Games and the Eucharistic Congress. The Eucharistic Congress in particular required a great deal of organisation with Ã Caoimh responsible for up to 2,000 stewards. By far the most controversial episode in Ã Caoimhâs 35-year career was the removal of Douglas Hyde, President of Ireland, as a Patron of the Association in 1938. Hyde broke the GAAâs ban on âforeign gamesâ by attending an international soccer match in Dublin. The question raised by Eamon DeValera in 1946 was whether Ã Caoimh should have warned Hyde on the implications of attending a soccer match and thus allowing Hyde to retire quietly as a Patron. One of Ã Caoimhâs key achievements was the staging of the 1947 All-Ireland Senior Football Final in the Polo Grounds, New York. One has to remember that in 1947 Europe, and America, were still recovering from World War Two, air travel was still relatively novel and communications were still primitive. In the space of five months Ã Caoimh oversaw the transfer of the All-Ireland Final to America and its radio broadcast back to Ireland. While the Polo Grounds Final achieved its ultimate aim of rejuvenating the Association in America, Ã Caoimh, for the rest of his tenure, had to spend a disproportionately high amount of his time organising the GAA in America. The post-1947 relationship between the GAA in Ireland and the GAA in New York was, at times, fragile. A number of experiments were tried such as the St. Brendan Cup Competition, the inclusion of New York in the National League Finals and the initiation of a World Championship Series. Yet there was a constant degree of disharmony either within the American GAA itself or between Ireland and America. Ã Caoimh patiently and diplomatically sought, and tested, solutions that would placate both parties. Throughout the last years of his tenure Ã Caoimh was in poor health. He had undergone four major operations between 1944 and 1963. Central Council acted to reduce his workload and employed new staff, including his successor-to-be Sean Ã SÃ­ochÃ¡in. 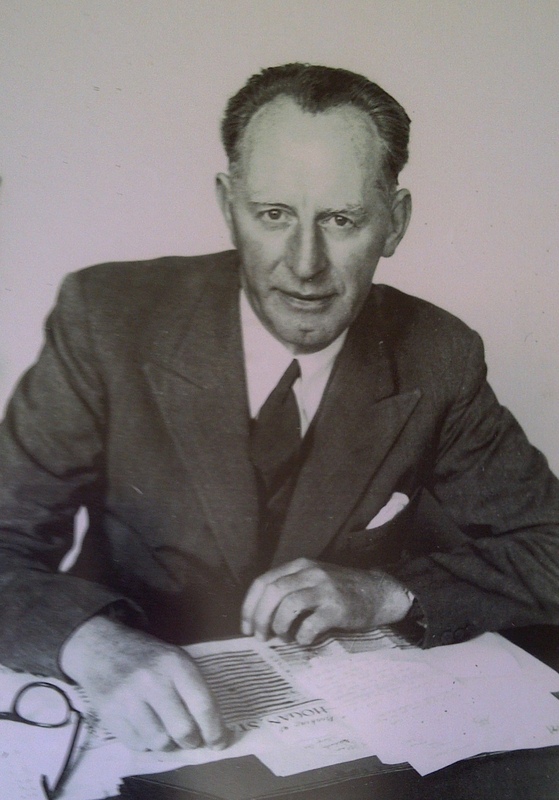 Ã Caoimh passed away in May 1964, a few months before his completion of 35 years as Secretary of the GAA.